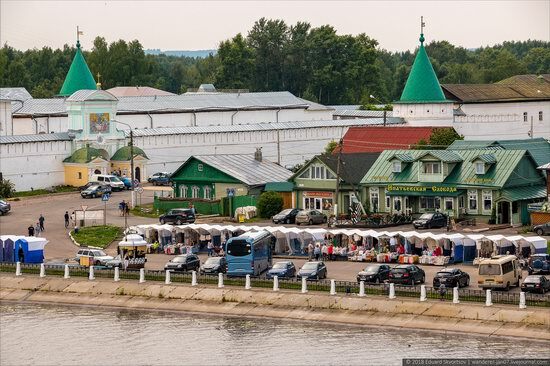 There are direct buses running to the monastery (#14 and #38) from the railway and bus stations – the bus stop right after you pass the bridge. 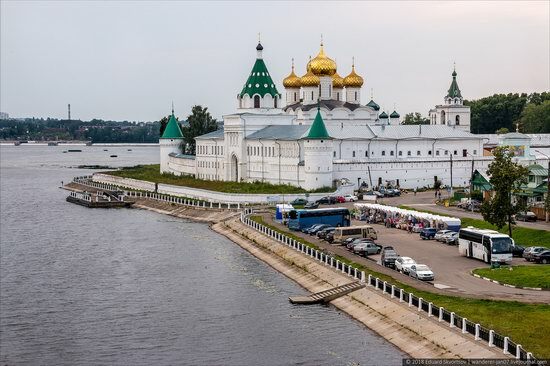 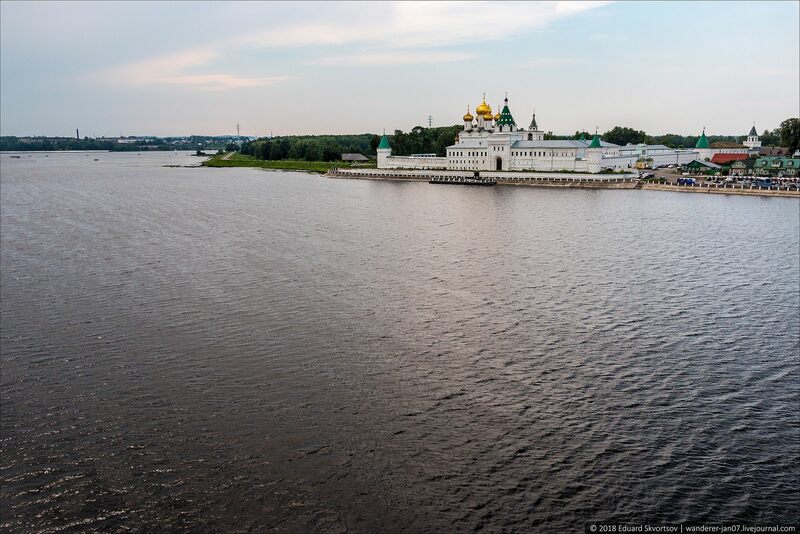 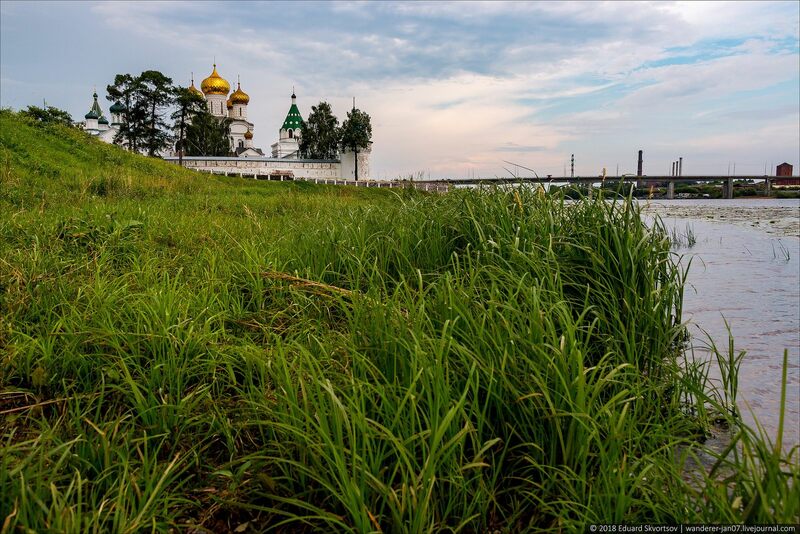 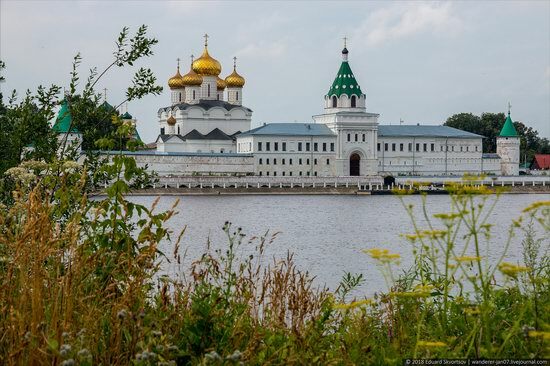 However, one stop earlier and you can enjoy an iconic view of the monastery across the river. Near the walls of the monastery you can buy a variety of souvenirs. 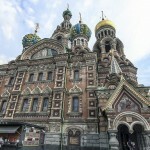 The ones made of birch bark and flax clothes are of particular interest. 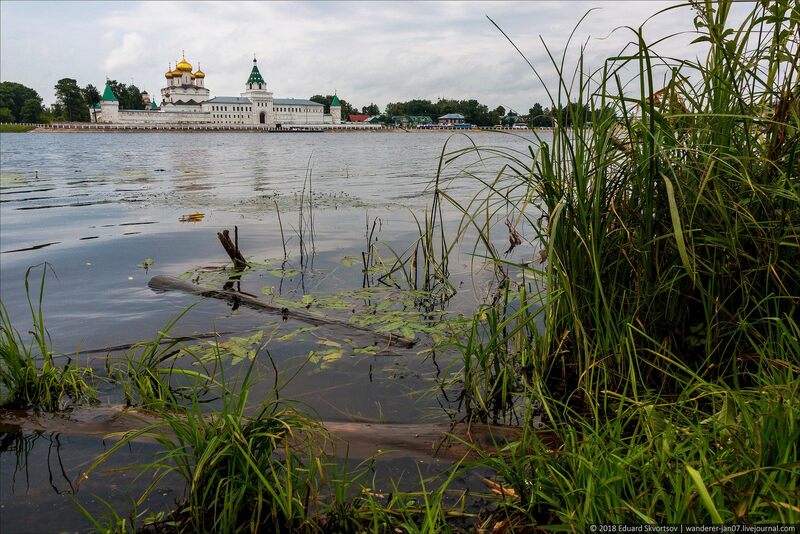 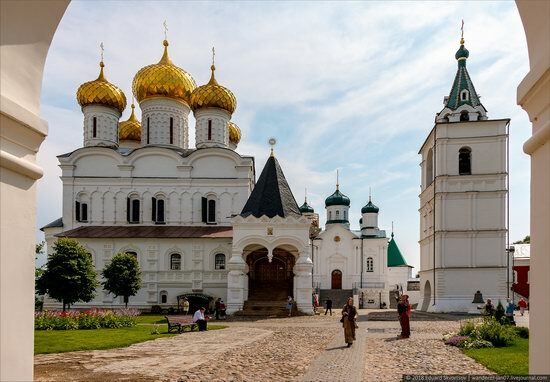 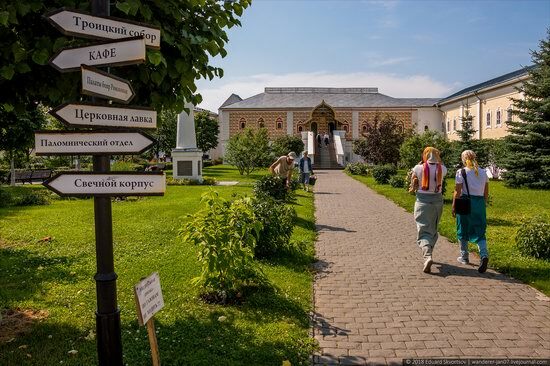 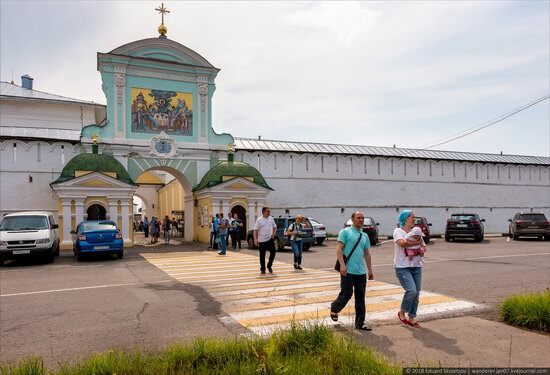 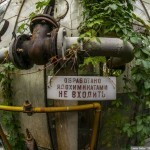 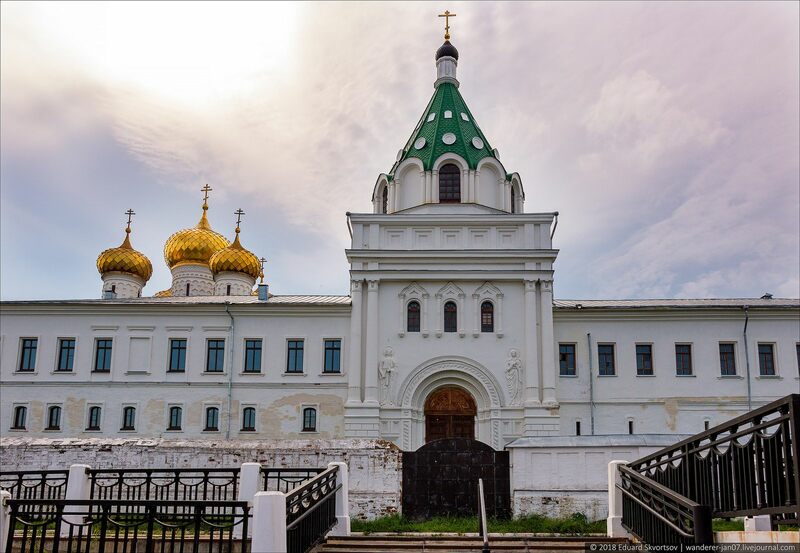 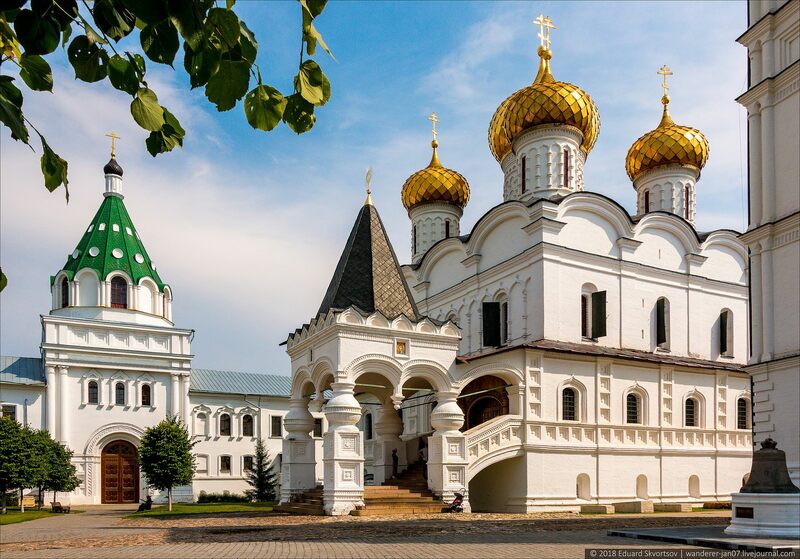 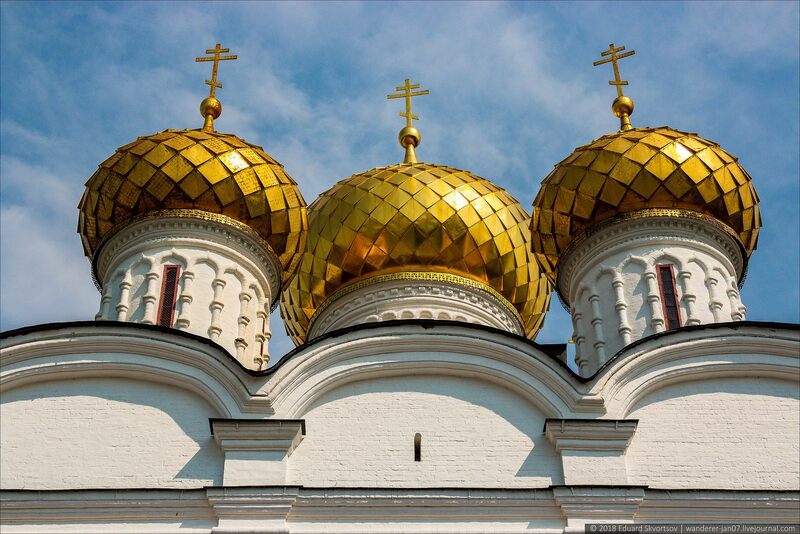 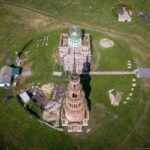 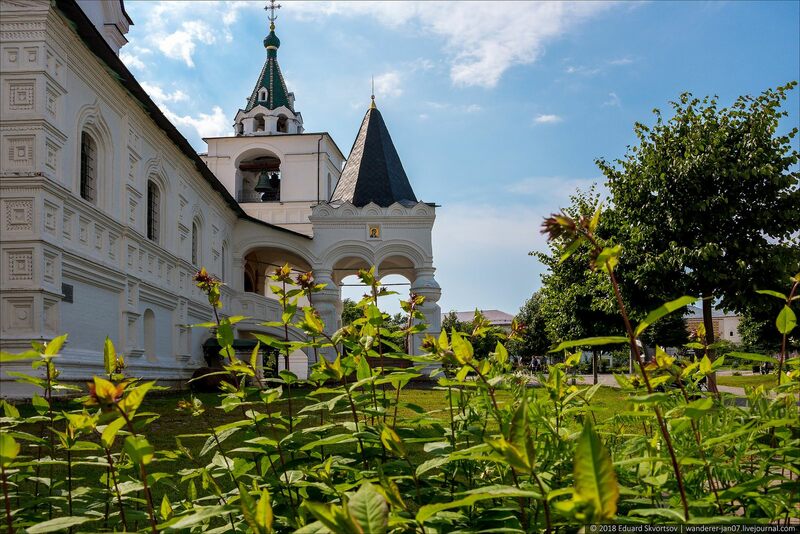 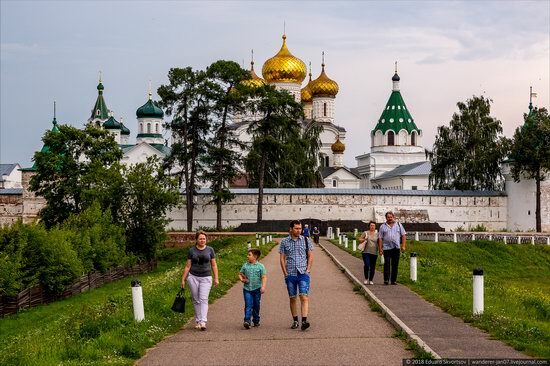 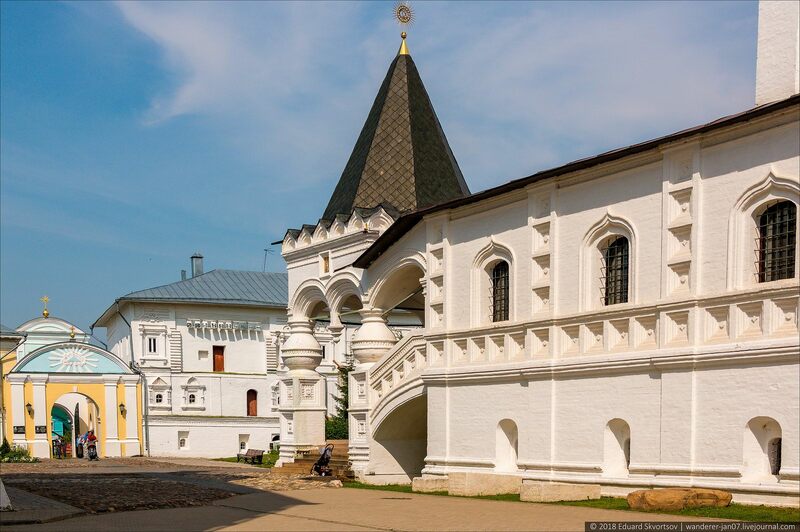 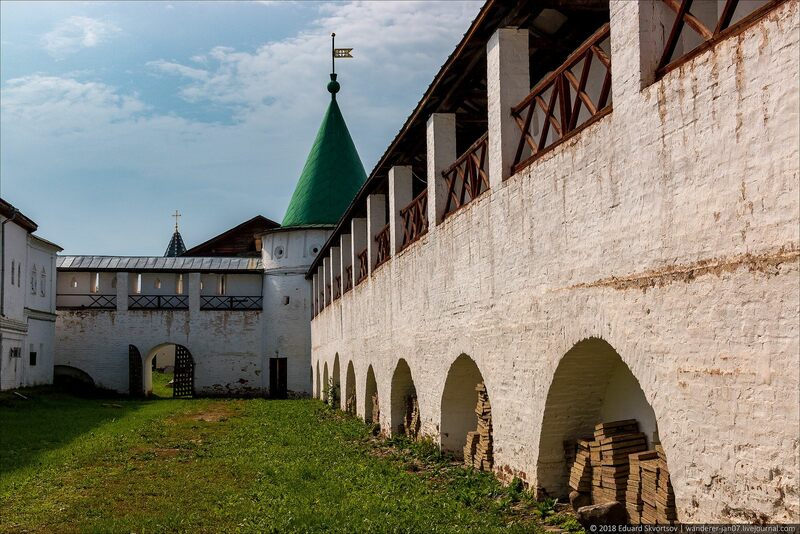 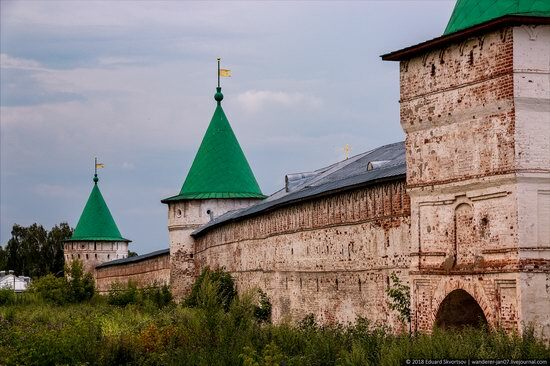 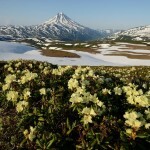 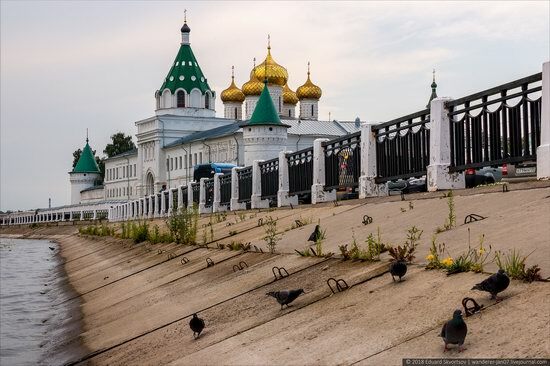 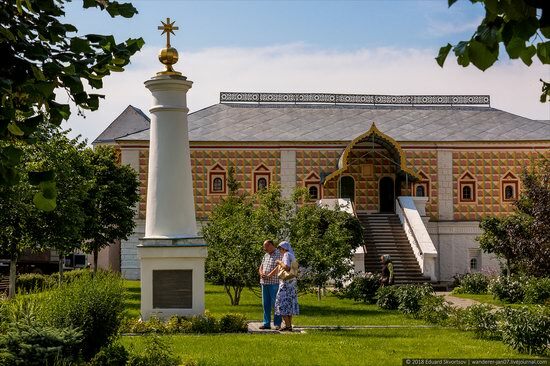 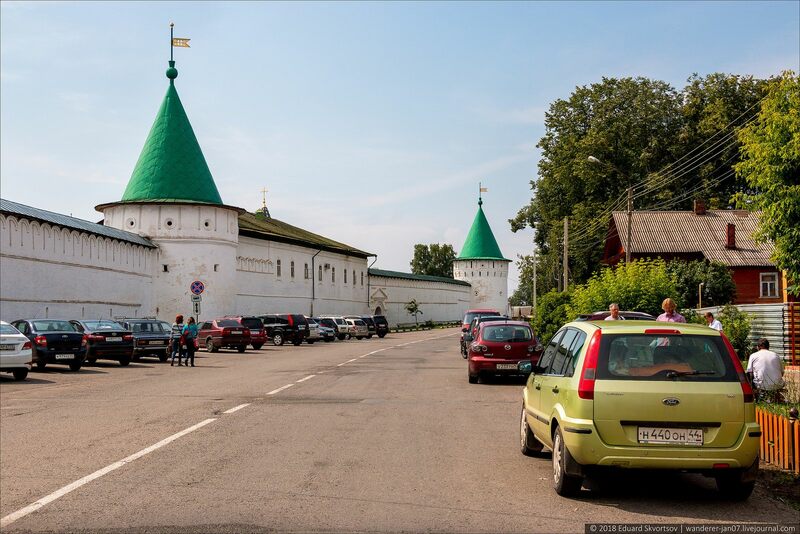 For more than three centuries, the Ipatiev Monastery was in a privileged position. In May 1913, it became the center of the celebration of the 300th anniversary of the Romanovs’ Royal House. 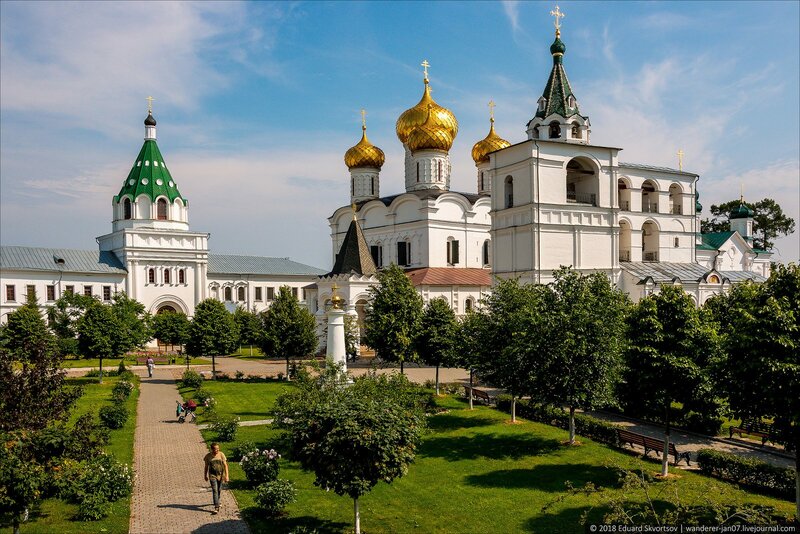 In 1919, the monastery was abolished, and its material values were nationalized. 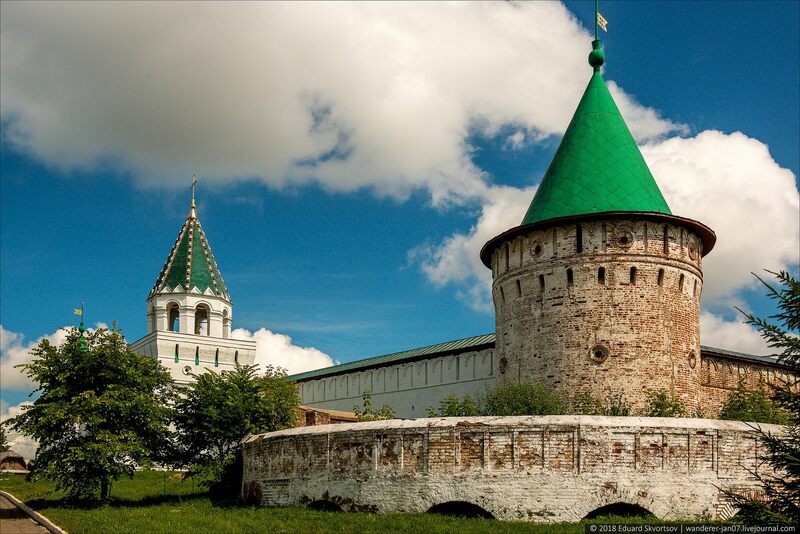 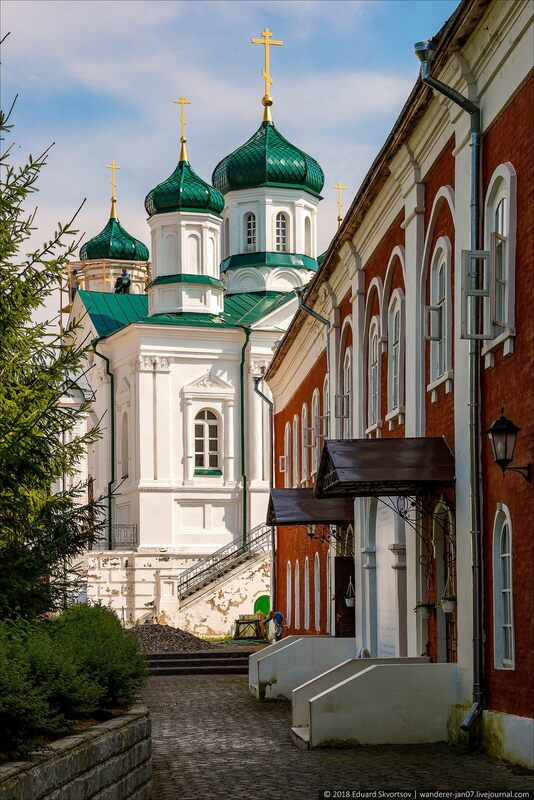 In 1958, the Kostroma State Historical and Architectural Museum-Reserve was established in the Ipatiev Monastery. 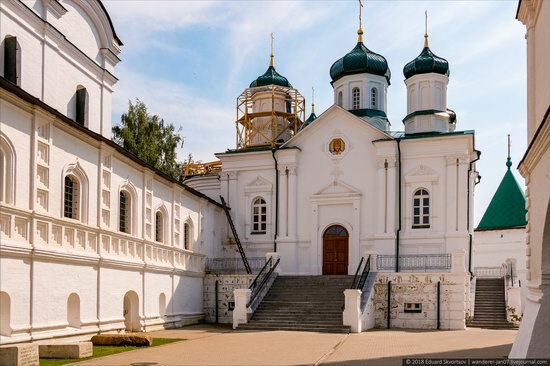 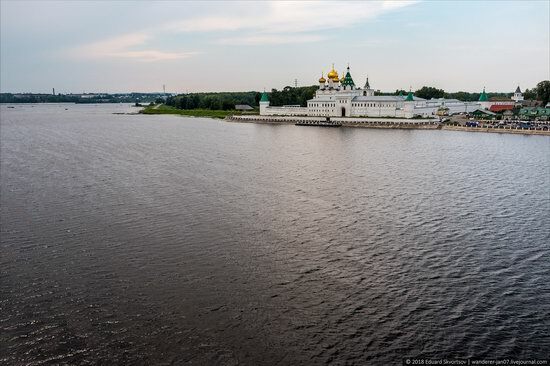 In 2004, the Ipatiev Monastery was transferred to the possession of the Kostroma diocese of the Russian Orthodox Church.